I’ve been star struck before….. I was in Junior High (possibly younger) and my best friend Sharon and I were to meet John Schneider of the Dukes of Hazzard at a county fair…….the General Lee (car) might have interested most, but we could not wait to meet John (by the way I touched the General Lee). Prior to us leaving we spent the day curling our hair and picking out clothing, and all the girly things you do when you are going to meet a super star….We arrived and waited in a line of fans, in what seemed like forever and we finally got to meet John!!!!! I asked for a kiss on the cheek and I vowed to never wash it again! We were giggling all the way home. 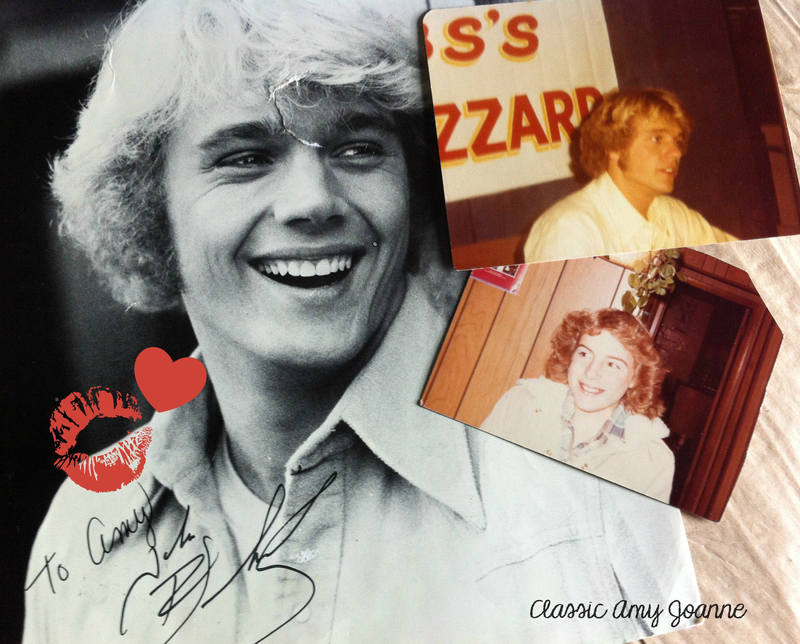 Here is me that day in the late 70’s hair (Farrah Fawcett style)….and that’s his autograph and photo, gosh how I couldn’t wait to get that photo developed! You can bet I made sure the flash cube on top was turned the right way….. This past weekend I was star struck in a different kind of way. I was going to meet Marian Parsons of Miss Mustard Seed at Luckett’s Market……I have been following Marian’s Blog for a few years and a good friend of mine Jane Allen invited my husband and I to join her and her husband for a weekend at Lucketts….OH MY GOSH, I am going to meet Marian of, Miss Mustard Seed! The week prior to the event felt like forever and I even made sure I had a special ‘outfit’ picked out to go, much like the days that lead up to meeting John Schneider. 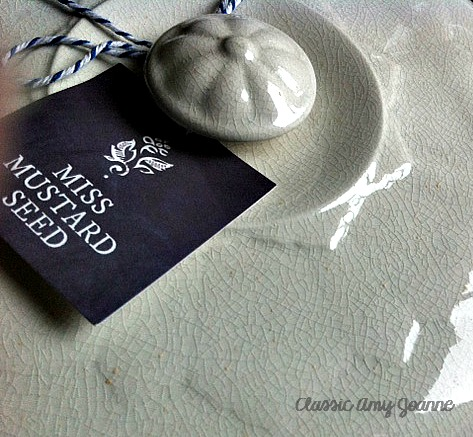 If you are not familiar with Miss Mustard Seed, she is a beautiful person inside and out, a great blog writer, an awesome decorator and fabulous with paint! The morning came and I was so excited to leave, I put on my best outfit and stepped outside….and it was humid, very humid….there goes the hair and make up and the outfit looked ridiculous since it was a sweater….but I made it to Lucketts and I met Marian….. 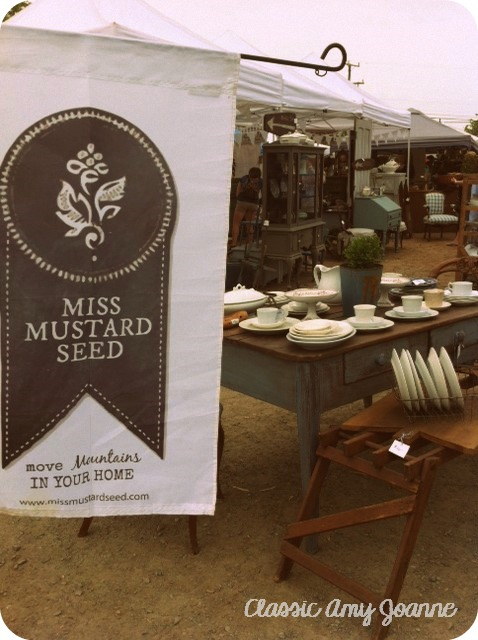 I spotted her booth from about 1 mile away and said to Jane…..”I see Miss Mustard Seed”, I would know her booth anywhere! It was everything I had dreamed it would be…and we made our way to the booth….. 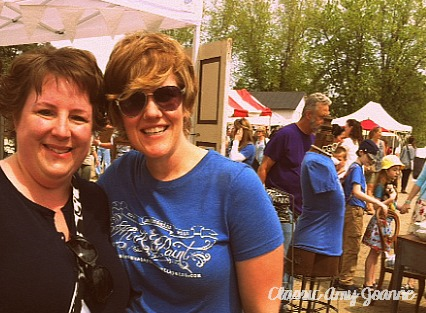 I am sure I said some silly things to Marian…..I was star struck once again! I hope I didn’t embarrass Jane….I felt like a Junior High girl again. I found some ironstone and other treasures along with Marian’s book, Inspired You. 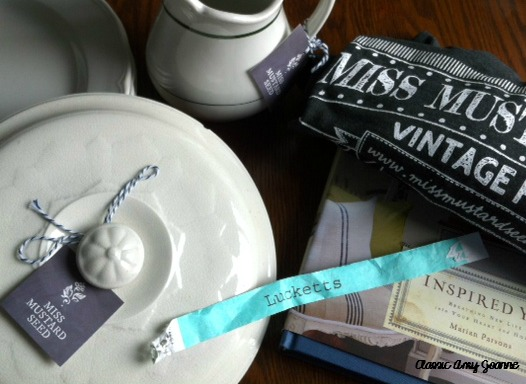 It is a good read, not just your everyday decorating book…..
Oh….and the rest of the Luckett’s Market…..it was awesome! 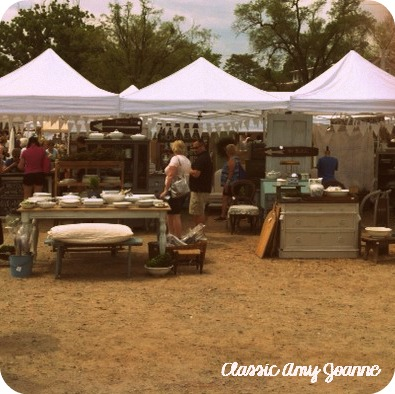 It is a definite must do if you like to go ‘junkin’ to find treasures. You need a good eye to see beyond what it is and look at what it can be….isn’t that what junkin’ is all about? It is a great place to find pieces to paint on…..as a Decorative Artist! On a side note….the Junior High girl in me giggles at Luckett’s name…because my maiden name is Tuckett…..lol, as they say! A big Thank You to Jane and Al for treating Jerry and I to a fun weekend……. Now I can fill that blank wall in my home with ironstone……read (here). Definitely a fun weekend, with our friends and Marian is a wonderful person.